Today, I’m a happy camper. 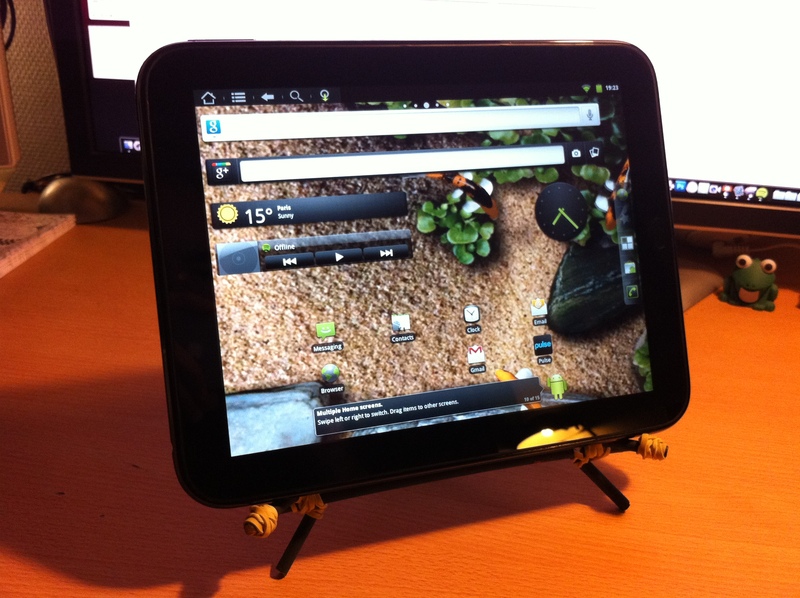 I’ve hacked my HP TouchPad and got Android 2.3 Gingerbread running on it because the CyanogenMod 7.1 Alpha release for ToufhPad is here! Once you read the instructions, the install process is fairly simple (I mean, simple for that kind of stuff ;)). Almost everything works: wifi, bluetooth, sound, 3D acceleration… It’s very, very cool! Of course, it’s alpha so there are bugs. It crashes or reboot without notice but hey, it’s only the beginning! If you’re lucky as I am and grabbed a HP TouchPad WiFi/32Go for 99€, after installing the gapps package (which installs Android Market) you’ll have a full featured dual core Android tablet for the fraction of the real price! The files and intructions required to install Android/CyanogenMod 7.1 can be found on the RootzWiki forums. 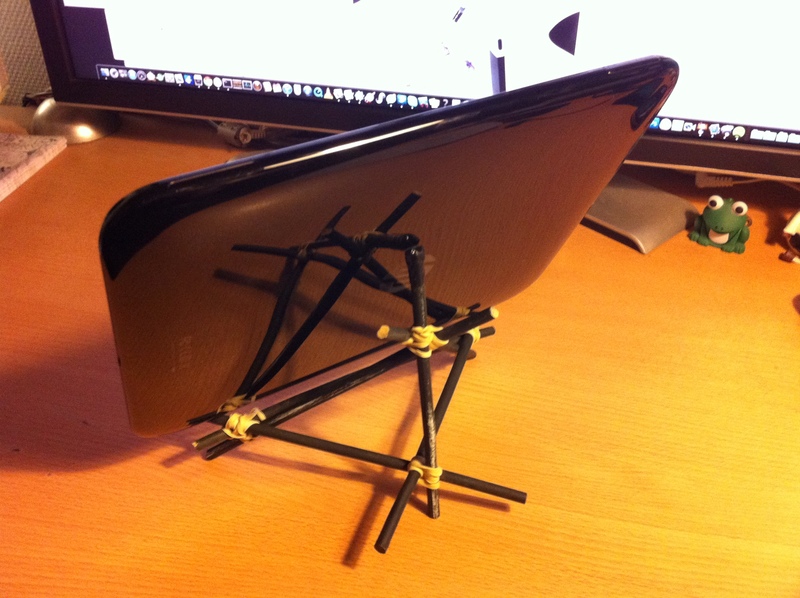 On the pictures you can see the iPad/TouchPad Stand I’ve build using wood sticks and rubber bands, inspired by this one The Pencil iPad Stand. It’s pretty cool, convinient and costs nothing!